Don't Sleep helps prevent system Shutdown, Standby, Hibernate, Turn Off and Restart operations. This is useful to temporarily disable automatic power-saving tools without modifying any system settings. Works great for running a presentation, defragmenting a disk, or encoding a large file. How to extract: Download the "Portable" ZIP package and extract to a folder of your choice. Launch DontSleep_p.exe or DontSleep_x64_p.exe (for 64-bit OS). Important: Bug fix in the x64 version due to false compiler setting. Small corrections and recompilation due to malfunctions. I've been using Don't Sleep for some time now and it works great for me. It updates frequently but I never had a problem with the many previous versions. I use it when doing routine unattended maintenance, when making large backups and downloads. I think "Don't Sleep" should win an award for the most updated program on TPFW. :-) Works well though, thanks. WOW no comments for such a long time, this is a program I have used for many years and it still works great for me even now while using Windoze 10 does just what it says and does it perfectly. 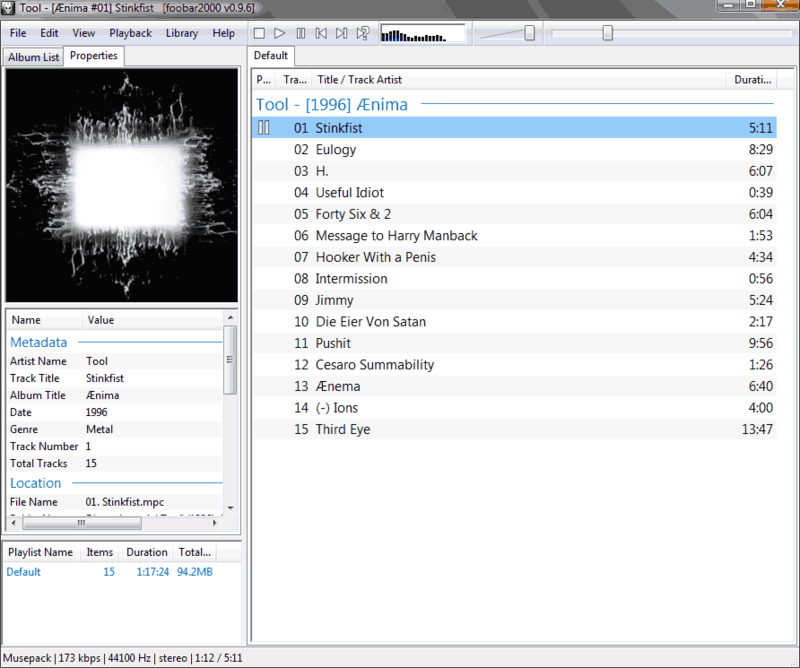 foobar2000 is an audio player with low memory footprint and native support for most popular audio formats. It includes CD ripping, format conversion, replay gain, audio normalization, equalization and more. Playlist display and keyboard shortcuts are both very customizable. Additional functionality available via a wide variety of plugins. The program can edit song tags (album and song name, number, year etc.) based on the FreeDB Internet database and even rename the original songs based on these tags. A file format conversion tool is available, but must be enabled with external downloads. Can even fix some MP3s with corrupted file headers. Windows 2000 is no longer supported but users can download the last compatible version: 0.9.4. @Emka, sorry for the delay. No, I didn`t post on the forums. Great player, especially with a few tweaks. I use Meier crossfeed together with Dolby surround emulation. What this does is it spreads the sound out, as if you're listening to a live performance, and greatly reduces ear strain when listening with headphones (which I do 99% of the time). Other pluses are that it uses my own music directory structure, is very fast (opens in a snap), and it uses windows native look instead of someone's idea of a great skin. @shnbwmn: FYI, Viper4Windows is a free general purpose Windows sound processor that includes similar tweaks, among many others... (V4W homepage appears to be having issues currently, but Softpedia has it: http://www.softpedia.com/get/Multimedia/Audio/Other-AUDIO-Tools/ViPER4Windows.shtml). Also available as Viper4Android. QiPress is a monitor for the system keyboard and mouse, describing activity in a small, semi-transparent black box in the corner of your screen. Ideal for presentations, screencasts and program how-tos, the program can also behave as a diagnosis tool for keyboard problems, describe unlabeled keys, or provide feedback show when an application is ignoring input. Settings are available to ignore key-sets to exclude for example mouse or keypad activity, as well as window color, transparency, fade-out and more. A pro version of the program is available for commercial use, and has the same feature-set. How to extract: Download the ZIP package and extract to a folder of your choice. Launch QiPress.exe. The program is stealth again. Also, QiPress triggers a User Account Control (UAC) prompt. What does it need it for? This is generally required by programs that need to dynamically update their resources within those paths. PopMan is an email management tool that notifies of new mail and previews received mail on your server. Unwanted mail can be deleted directly from the server without having download them. The program includes rules and blacklists to manage email and supports both POP3 and IMAP4 protocols. How to extract: Download the ZIP package and extract to a folder of your choice. Launch PopMan.exe. Optionally, delete unnecessary languages and themes. Fixed crash when converting HTML message to text. @Kea: added Win10 to system requirements. Tested in Windows 10 and works fine! PopMan is great but unfortunately it seems to be abandoned. There is one thing I don't like about it- PopMan doesn't support Unicode.